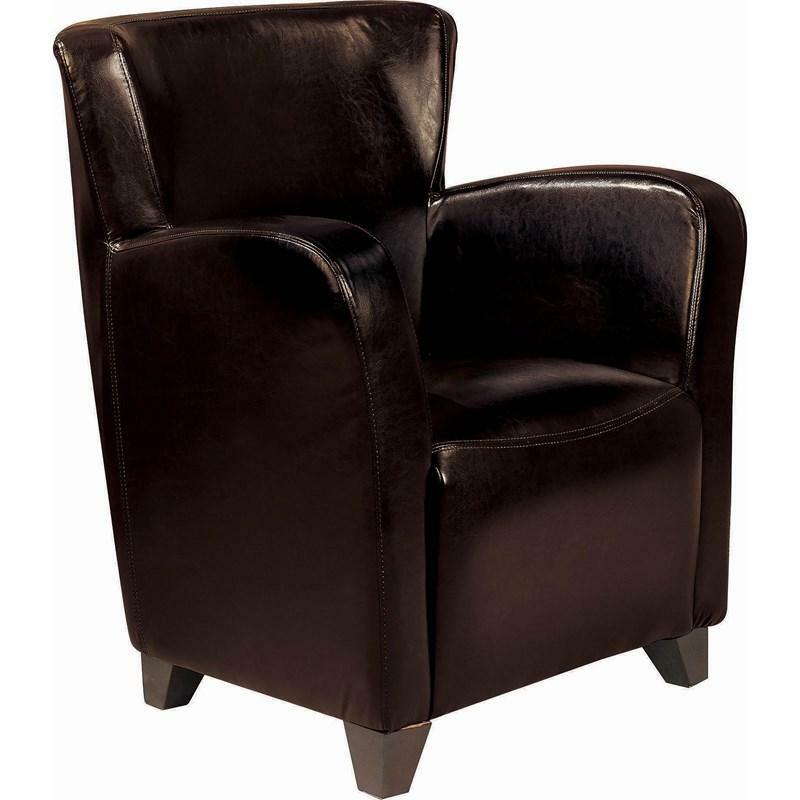 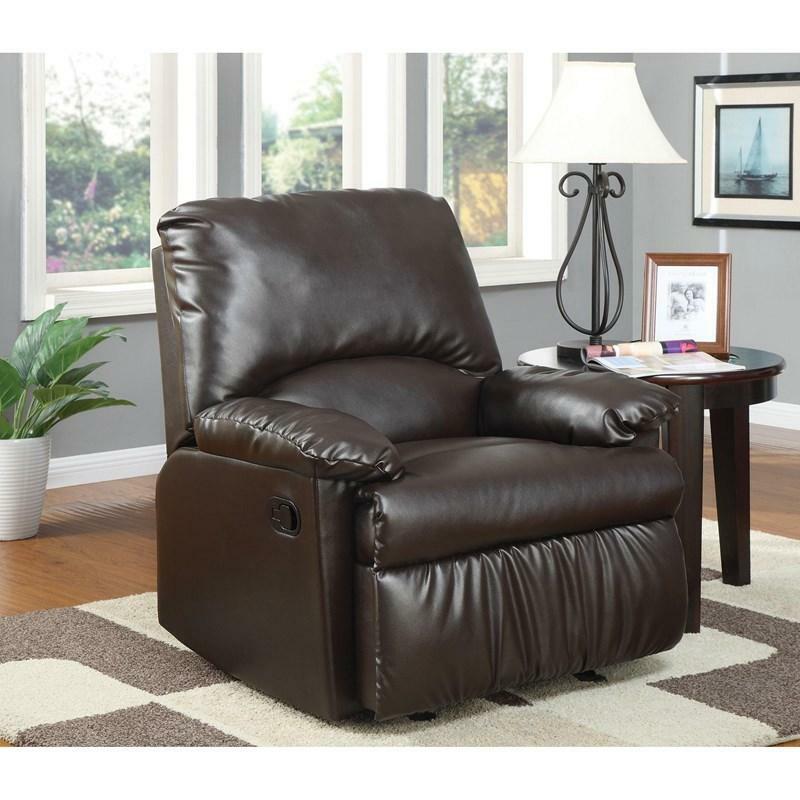 This glider recliner from Coaster Furniture is upholstered in a durable brown leatherette, the perfect choice for style and comfort. 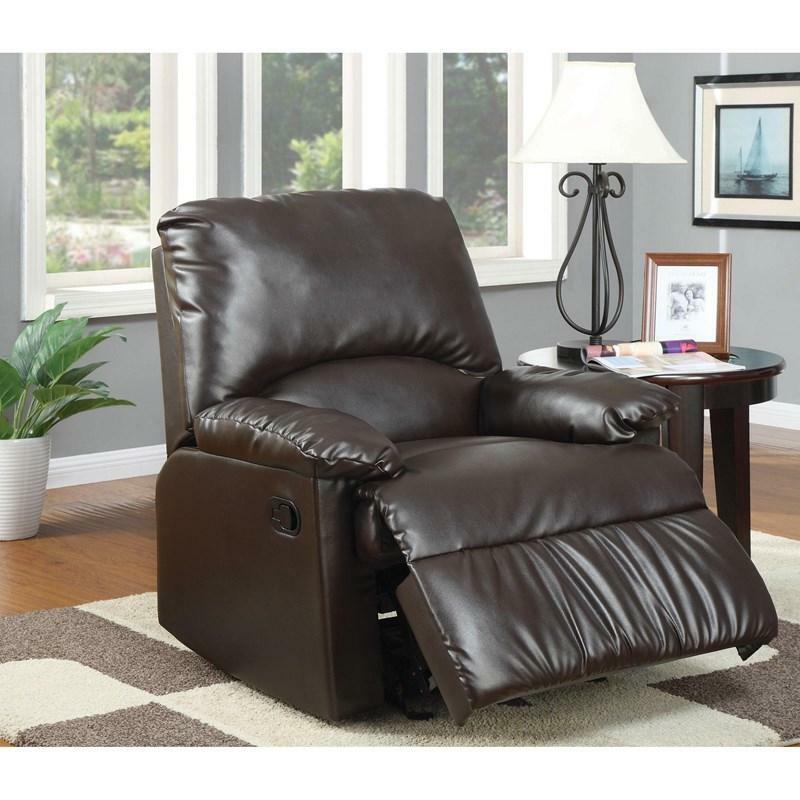 It has a padded pub-style back, pad-over-chaise with footrest and pillow arms. 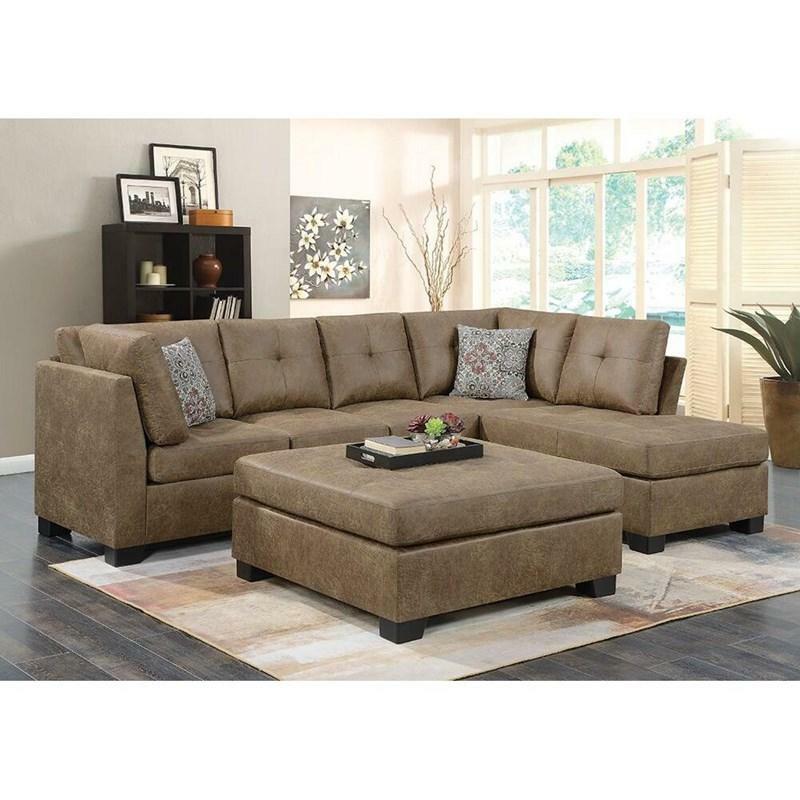 • Distance from back to wall to recline: 10.75"
This beautiful Sectional will make the perfect addition to your home. 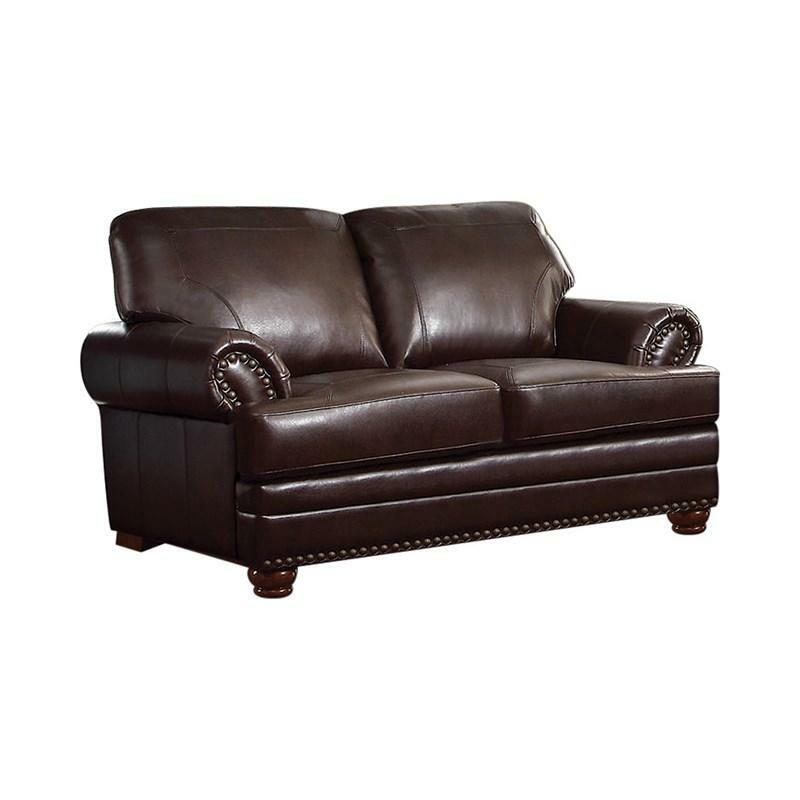 It features tufted padded back pillows, tufted seat cushions, tapered arms, straight front border and tapered feet. 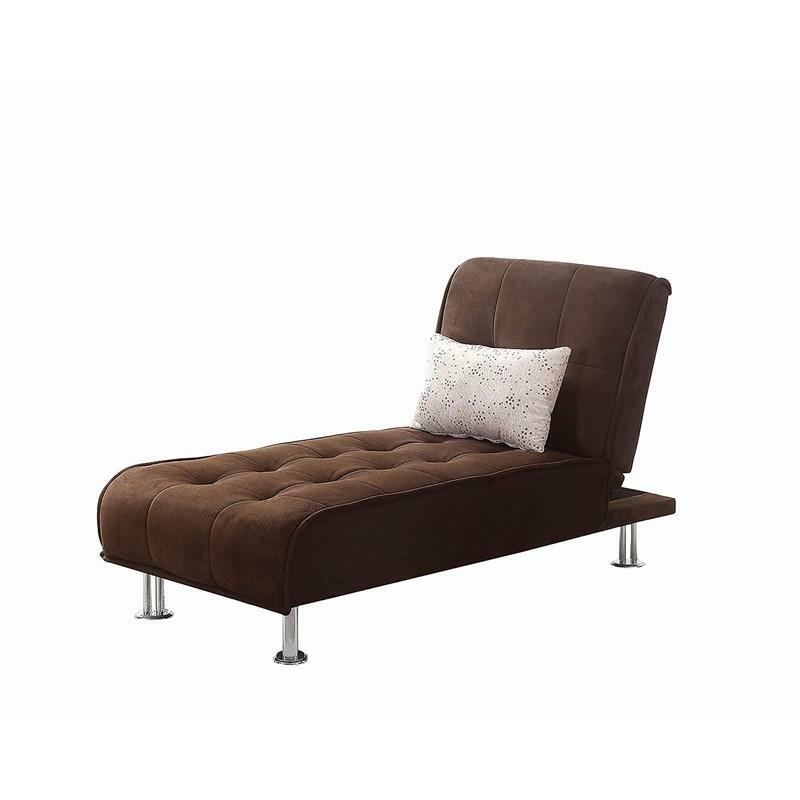 It is composed of a reversible chaise and sofa. 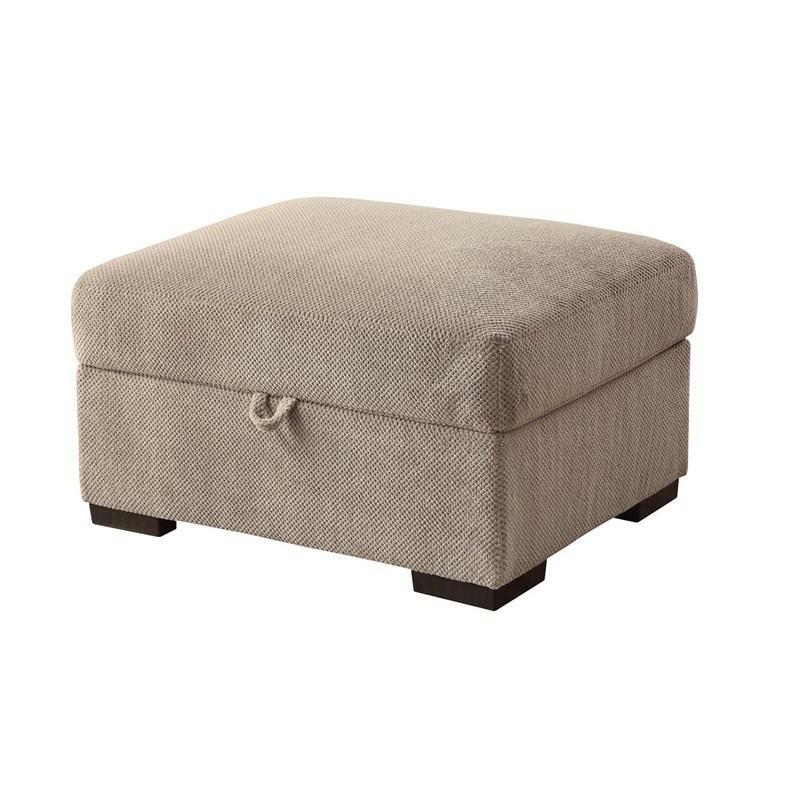 This Coaster Furniture ottoman features taupe upholstery with black chenille finish on its legs. 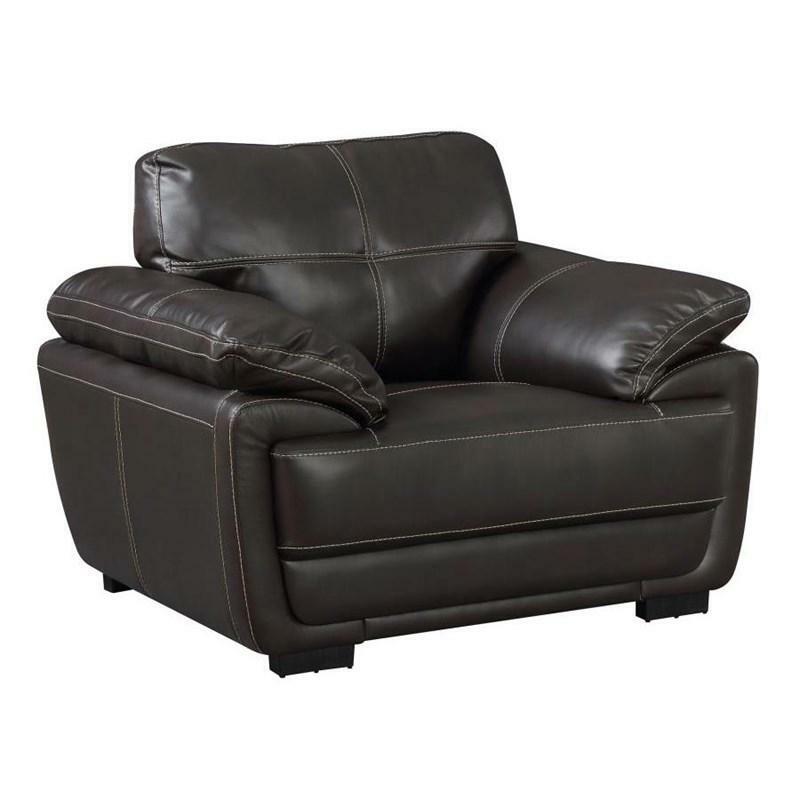 This piece also offers storage space as the top can be lifted.